Dads! It’s time to purchase tickets for the 8th Annual Daddy Daughter Sweetheart Ball! Williams Scarborough Gray, CPA’s and Craven Literacy Council present the Sweetheart Ball to be held on Friday, February 8th at 6:00 pm. The event will be held at the New Bern Shrine Club on Glenburnie Road. 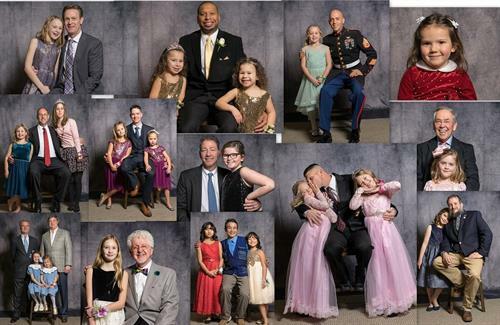 Fathers and daughters are invited to put on their dancing shoes and step out together for a fun Valentine’s event at this year’s Sweetheart Ball. Dancing, dinner and fond memories between fathers and their daughters will mark the 8th annual Sweetheart Ball. Roxann Wheeler is returning as emcee and the New Bern High School Drill Team will also be performing. Be sure not to miss out on this special night for dads and daughters! Mark February 8th on your calendar, and register today before the event sells out. Tickets are $75 for a dad-daughter couple, and dad's can bring additional daughters for $25 each. Tickets are on sale now. Purchase tickets online at www.cravenliteracy.org or call 252-637-8079. Don't wait! Space is limited and you wouldn't want to disappoint your special girl.